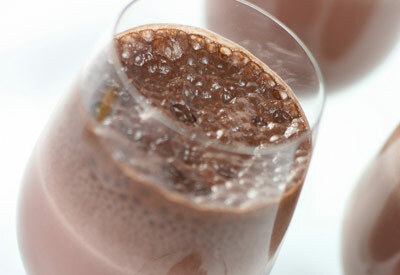 This smooth combination of banana and chocolate makes an easy and delicious afternoon snack! Place ingredients in a blender. Cover and blend 1 minute or until smooth. Pour into glasses. Serve immediately.